Dr. Wada has been happily practicing dentistry for 31 years. She is devoted to her patients and committed to providing excellent and compassionate care to each and every one of them. Dr. Wada was born in Hilo, Hawaii and grew up in Miami, Florida. She attended Emory College in Atlanta, Georgia graduating with a Bachelor of Science degree in Biology and then continuing on at the Emory University School of Dentistry and graduating in 1983 with a D.D.S. degree. She is licensed to practice dentistry in California as well as Hawaii. She practiced in southern California for 13 years before moving to Honolulu in 1996. She has advanced training from the Foundation for Advanced Continuing Education (F.A.C.E.) in restorative dentistry. She continues to be an active learner attending seminars several times a year to keep current in the latest techniques, materials and equipment in dentistry. She and her staff enjoy using the latest technology to provide her patients with the best dentistry has to offer. Dr Wada was selected to serve on the State of Hawaii Board of Dental Examiners since 2011. 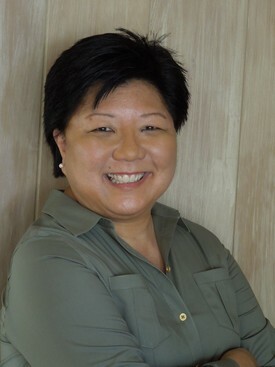 She currently is an examiner for the Northeast Regional Board which administers the ADEX Dental Licensing Examination which licenses dentists to practice in Hawaii. She has graded exams across the country, as well, and enjoys meeting dentists and other examiners from many different states. Dr. Wada is currently a member of many professional organizations including the American Dental Association, the Hawaii Dental Association, the Honolulu County Dental Society, the California Dental Association, the Academy of General Dentistry and the American Academy of Cosmetic Dentistry. She also belongs to the Terry Tanaka Hawaii Dental Study Club. Dr Wada is married to Dr. Randal Wada who is a pediatric hematologist/oncologist and medical director of the Bone Marrow Transplant Unit at Kapiolani Hospital for Women and Children, the Hawaii Bone Marrow Registry and founder and director of the Hawaii Cord Blood Bank. They have two adult children, Robert and Amy. Amy is an elementary schoolteacher with a special interest in teaching Japanese to young children. Dr. Wada has passed on her passion for dentistry to her son, "Dr. Robert", who recently returned home to join her in the practice of dentistry in a true "family" practice! 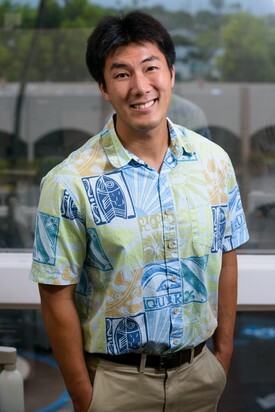 Dr. Robert Wada is a graduate of Iolani School. He attended the University of Oregon earning a Bachelor's degree in Biology. He then went on to University of Missouri- Kansas City School of Dentistry. He is happy to be back home in Hawaii to practice dentistry with his mom. His interests include anything outdoors: surfing, spearfishing, kayaking, paddling and hiking. He has a special interest in high tech dentistry- digital same day crowns, Invisalign, and implants.